In today’s post, we’re going to talk about product knowledge vs. people skills in network marketing. If you’re trying to claw your way to the top of your network marketing company’s compensation plan, there is a valuable, but simple piece of advice I would like to share with you today. This advice will save you years of misery and frustration. It will keep you from focusing on the wrong activities in your business. The people who make the most amount of money in this industry are people experts not product experts. The people who are great at this industry realize that their real product is PEOPLE, not the company’s product line. The more you learn and know about the products, the worse you will do in the business. That’s how I feel anyway. We are not in the product business. We are in the people business. We build people and people build the business. Never forget that. Work on your people skills constantly. Learn how to get along with other people and how to lead others. Become likeable. Work on your communication skills. Become a person of influence. Become the type of person you want to sponsor. This is what will make you the big bucks in our industry. By all means, use the products and develop your own product story and personal testimonial, but don’t think you have to know every single fact and detail about the products. You don’t. I have to be good at sales to grow a business. I have to learn every detail about the products to be successful. I don’t like sales and I don’t have time to learn that much details and info about the products. They will spend ALL of their time learning about the products, rather than building a business! Trust me, that’s not what you want to happen. To clarify, the products and/or services are still VERY important. You need a good product line at a fair price. You need a MINIMAL understanding of the products, and how they can benefit others, but please do not become overly obsessed with learning every little detail about the products. Trust me, the ingredients of your products are NOT what influences people to buy or join. You do! Becoming a product expert will hurt you more than it will help you! I know many people who go down this path, especially the overly analytical types. From this day forward, start working on your people skills. Read books like “The Five Love Languages” and “How to Win Friends and Influence People.” Listen to tapes about people skills. Attend events that will teach you new skills. Have compassion and empathy toward others. Get good at asking questions and listening. Learn how to talk to people. Be genuinely interested in others rather than trying to be interesting yourself. Even better, spend time BUILDING UP YOUR OWN PEOPLE. Speak belief into them until they believe in themselves. Train them to develop their people skills. Help your team members become better people and better leaders. At the end of the day this really is a personal development business with a compensation plan attached to it. For your business to grow you must grow. You have to realize this business is a volunteer Army and no one has to follow your lead. If people don’t LIKE you and RESPECT they won’t join your team, and/or they won’t stick around long if they do join your team. Your job is to inspire and help people and to bring out the best in others. Your job is to build your people so they can go out and build their business. Learn how to do that effectively and watch your business growth skyrocket. Never forget that we are in the people business, not the product business. I hope that helps. What are your thoughts on product knowledge vs. people skills in network marketing? Leave a comment below to let me know what you think. 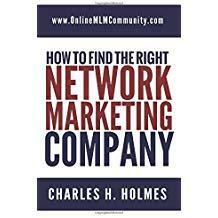 Previous Previous post: Leverage in Network Marketing: What Makes MLM So Appealing?